It is relatively easy to literally translate a word into another language. It’s much more difficult to translate a word or a phrase when one contemplates how the words will sound in the target language and considers any cultural background that they may have. 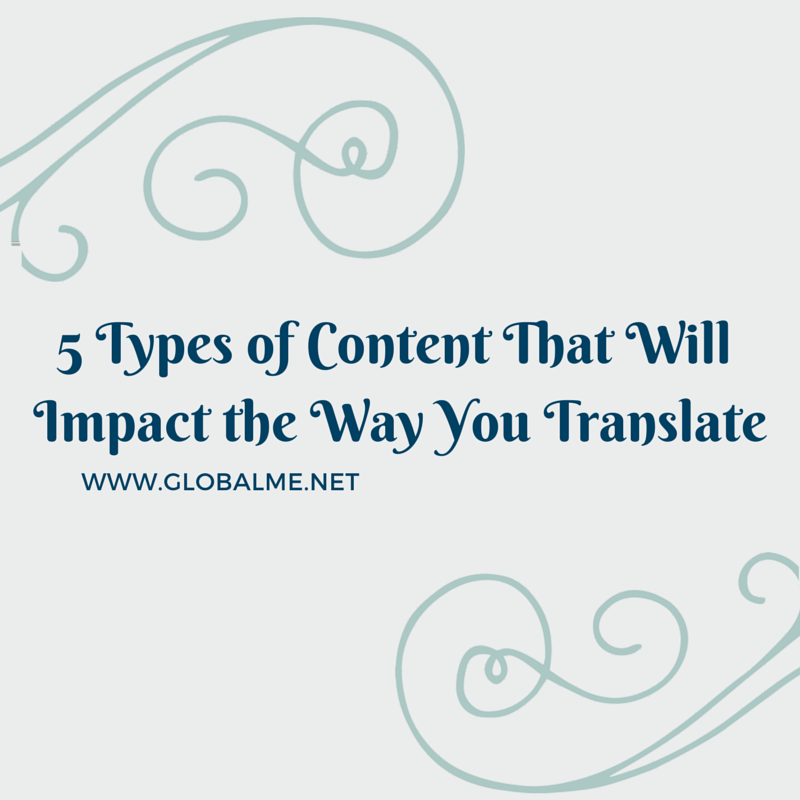 Apart from that, there are different types of content translation. For example: Translation for advertising slogans is especially affected since accuracy is not as important as the flow of the translation in such situations. In fact, an accurate slogan translation may make no sense, or may even be offensive in the target language. One is better off transcreating in those cases. This type of translation varies greatly depending on the genre and the author style. Most translators can find it invigorating, frustrating, and ultimately rewarding, all at the same time. There is rarely a right way to translate fiction. Unlike financial or legal documents, where the dry tone and the rigid sentence structure makes the end result by multiple translators almost always similar, translated fiction can be as different as any two individuals can be. Translating news often involves a lot of facts, figures, dates, and names. There are also a lot of quotes used. When translating quotes, one needs to pay attention to where and how to break the sentence so as to not misrepresent the speaker. Translation for any text that could end up in a courtroom poses unique problems. In addition to jargon, translators have to pay special attention to dates, numbers, and specific terms. Often, something that is implied may not actually be the case and warrants double-checking. One cannot add qualifiers just to make the text flow better if the original text did not intend the same meaning. This really challenges a translator. Not only do you have to translate the meaning of the words, you have to consider the cultural connotations and any other implications of the words too, and you have to make the translation sound as catchy and memorable as the original, not an easy task. One of the most clever renditions of brand names around, this translation not only stays loyal to the pronunciation of the original, it also captures the meaning of “Guilty.” “罪” means “guilt” and “爱” means “love.” The translation is literally “guilty love,” a nice play on the original brand name of Guilty. The translation implies that sandwiches can be customized a hundred different ways at Subway, which delivers the right message to consumers loud and clear. “赛” means “better than” while “百味” means “a hundred tastes” in Chinese, so people are inclined to think Subway sandwiches are better than any of a hundred flavors. When translating from a language without tenses to one that does use tenses, i.e., Chinese into English, one often has to insert a lot of tenses to make the target translation make sense. This will add word count and sometimes clumsiness to the text. One way to resolve this is to show time via other means, either through context or description. Another way is to reorganize sentences so one is not mired in tenses and left with a wordy translation. How can I translate my content? Translation is a changing industry, so our challenges as translators are as diverse as our growing experiences; every specialization has its own tricky areas. Globalme considers each aspect of your translation project: its audience and their demographic; local customs and trends; tone of voice and aesthetics. Find out more by exploring our Digital and Print translation services, or have a look at how our experts can translate your website. What is your specialization, and what are your unique challenges? Share them with us below or contact us today! Yuzhi is a freelance translator in NY. She enjoys hearing from fellow translators and welcomes collaboration opportunities. Take a look at her website here.